Many travelers love getting to know people wherever they go. However, when traveling alone I tend to keep to myself for safety’s sake. I have, however, been blessed to meet some incredible people, particularly colleagues, but also a small handful strangers. 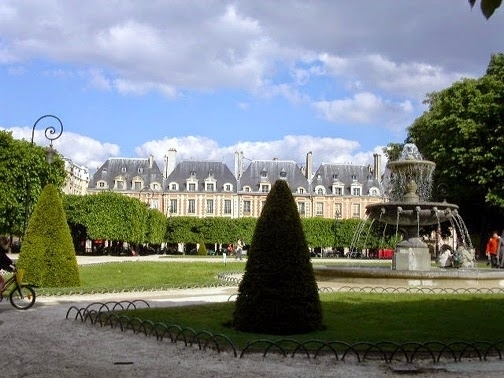 I once had an unusual experience in the Place des Vosges, in the Marais district of Paris, that reminded me not to close myself off altogether. In 2005, I was in Paris working on an exhibition of photographs at the Mémorial de la Shoah. Located in the Marais, a neighborhood that had a Jewish community from medieval times, and from which many people were deported to Nazi concentration camps during World War II. The museum and cultural center focuses on the French perspective of the Holocaust. The artist was Josef Breitenbach, a Jewish photographer from Munich who moved to Paris in 1934 to escape persecution. However, after Germany invaded France, he was sent to work camps as his German citizenship was revoked. One of the lucky, in 1941 he was able to emigrate to New York where he continued his art and taught photography. As we unpacked and examined his photographs and the facsimiles of supporting documents that were too fragile or precious to travel, we placed them into a separate vault for safekeeping until installation. The curator pointed to a set of racks filled with document storage boxes and said they contained the original transcripts of the Nuremberg trials. It set my heart racing to be so near these documents, and brought a new perspective to handling the facsimiles of Breitenbach’s passport and identity papers, the distress and fear he must have experienced. At one point, the exhibition coordinator gave me a personal tour of the museum. It was difficult to maintain a professional demeanor. It’s been a long time, but I vividly recall the children’s drawings and a lone, tiny shoe in a case still haunts me. After several days immersed in the artwork and personal memorabilia in the museum, and watching visitors search for the names of loved ones among 76,000 engraved on walls in the courtyard, I understandably felt a great weight in my heart. 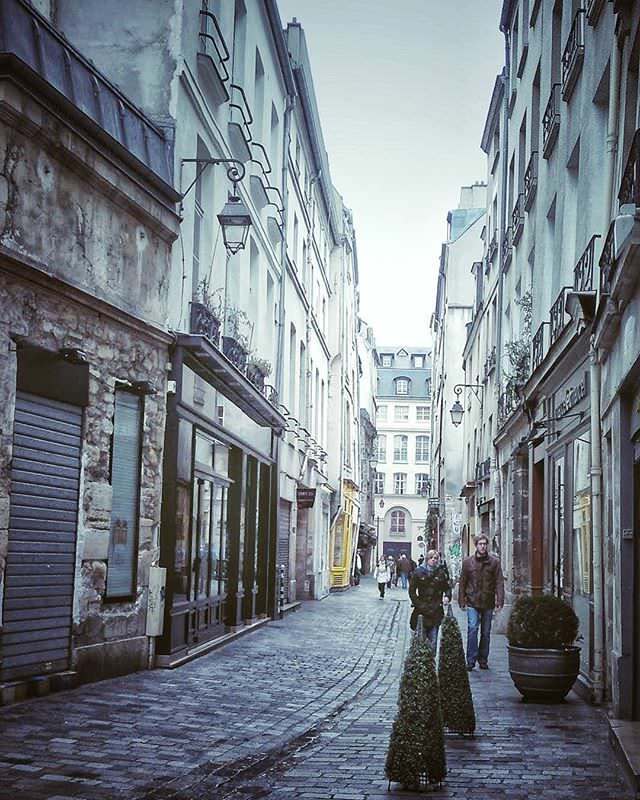 One of the oldest sections in Paris, the Marais is made up of a sprinkling of medieval buildings, some Renaissance buildings and elaborate 17th century hôtels particuliers, some of which take up entire blocks. After an early dinner one evening, I didn’t feel like returning immediately to my hotel, and walked passed it on the rue de Sévigné. My thoughts were occupied with the history of the neighborhood: its evolution from a Knights Templar fortification, to royal and noble residences, to revolutionaries storming the Bastille at the end of Rue Saint-Antoine, its demise into a poor quarter, to the Jewish people ripped from their community and sent to their deaths, to the center of the gay community, and to a flourishing district filled with art galleries, upscale boutiques, and trendy restaurants. There was still some light, the beginning of l’heure bleue, and I found myself entering the Place des Vosges. Constructed in the early years of the 17th century, the elegant residential square is made of brick and light-colored stone with slate roofs. It originally housed the nobility, and over the centuries its famous residents have included Madame de Sévigné, Cardinal Richelieu, and Victor Hugo, whose apartment has been turned into a museum at number 6. 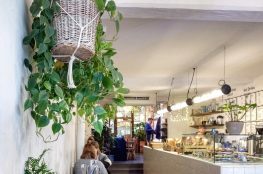 The long, vaulted galleries are populated with restaurants and art galleries, its green center lined with elegant rows of trees. The square acts as an outdoor living room. I sat on a bench under a row of trees heavy with leaves, and observed people in the restaurants, strolling through on their way home or to dinner, others enjoying a quiet moment alone on nearby benches. Although there were other free seats, a man in late middle age approached my bench and, I assume, asked me if he could sit on the other end. I nodded, as he looked harmless and the square was still well populated. He had the stylish look of a Parisian man: hair neither long nor short, a bit of stubble but not too much, well-kept clothing in neutral colors, a scarf against the beginning of an evening chill. He took out a crossword puzzle and worked on it. After a time he said something else, and I replied that I didn’t speak French. He switched to English, and we exchanged a few pleasantries about the square, the weather, the light. Then I decided to leave, as I don’t like to get familiar with unknown men in foreign countries, but he began to tell me about his life and I sensed it was a tale he felt compelled to share. 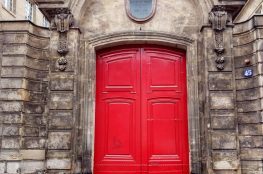 He was homeless; he revealed with an expectant look on his face, waiting for my reaction. Was I surprised, he wanted to know. Yes. He explained he took tremendous pride in being presentable and went to the public baths twice a week. He wasn’t from Paris, but circumstances had led him there. The men in his family had been miners, including him, but the mine closed. With no opportunities and nowhere else to go, he’d come to Paris. He declared it a good place to be homeless. One could bathe regularly and was surrounded by beauty. 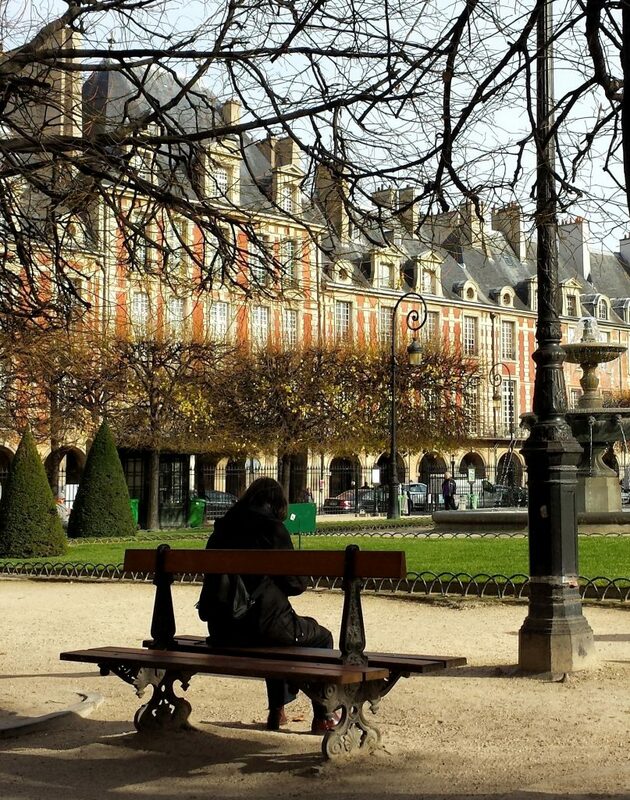 Who could complain when the Place des Vosges was your living room? We chatted for a while about disenfranchisement, the elegance of Paris, and his crossword puzzle. The light fading, I took my leave. I checked over my shoulder a few times, but he didn’t follow me. The man was so different from the homeless back in the U.S., where they seem broken beyond repair in both body and spirit. Dignity intact, this man maintained his mind, and was cultured. He appreciated the beauty of Paris and contributed to it in his small way by maintaining his appearance. He felt the city was his, though homeless, he belonged. I learned that appearances can be quite deceiving; you never know who you’ll sit next to in Paris, a millionaire or a pauper. Also, I learned that circumstances don’t have to alter your concept of yourself, your essence remains the same if you allow it to. In the years since, I’ve noticed a sharp increase in overtly homeless people on the streets of Paris due to reverberations of the 2008 financial crisis, a lack of affordable housing, and the influx of migrants and asylum seekers. Paris is a living, breathing city, with 21st century social problems it’s trying hard to rectify. It has a long history; the present and the past coexist in layers that often confront you unexpectedly. Learning about its history, of the people who have called it home over the centuries, and its social problems offers a deeper understanding and richer experience. Perhaps start with a neighborhood and delve a bit deeper. While there, take photographs or notes about things you notice and research them later. Push beyond the tourist attractions and cultural stereotypes to experience the true Paris. In this first book of Cara Black’s Aimeé Leduc detective series Aimee must delve into events of WWII to solve a 1990s anti-Semitic hate crime. Each book of the series is set in a different neighborhood and offers a wonderfully vivid sense of its uniqueness within Paris. One of the reasons I enjoy this series is that the central theme of each mystery centers and elaborates upon a historical or social issue. 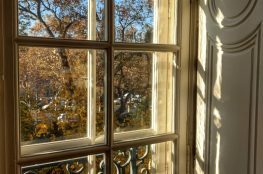 In this expatriation memoir, Karmel tells the story of moving into and furnishing a pied-à-terre, or small apartment, in Paris. Although the many cultural differences are fascinating, I especially enjoyed the tale of his 14th century building, which he traced through historical documents. 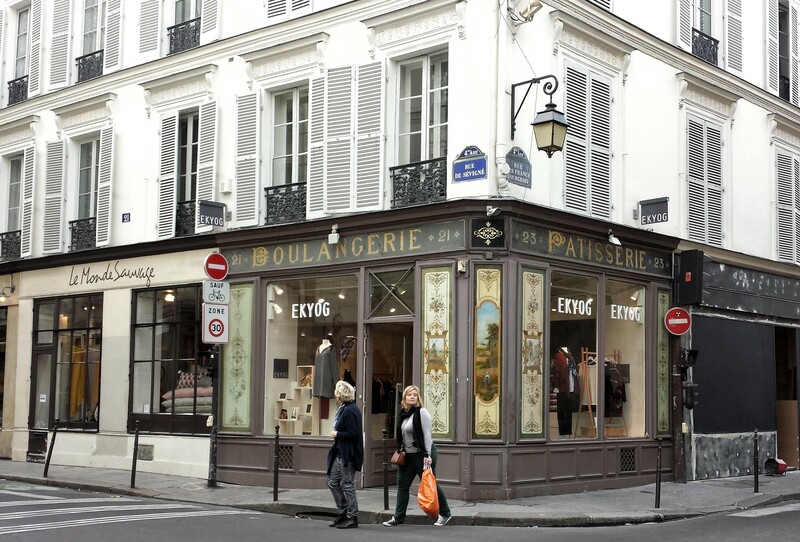 Karmel also offers a rich history of the Marais neighborhood and its evolution over the centuries. On several of my trips I’ve visited his corner and looked up, offering a little wave. Note: This post contains affiliate links to books I’ve read and enjoyed.